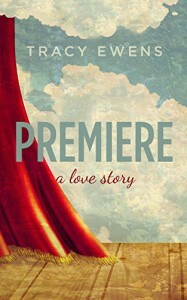 Premiere: A Love Story - "A Single Word ... "
I rather enjoyed this book it was a simple romance that showed us the different in young teenage love and that of grown up love in a venue that I haven’t come across before in my reading career before. I am glad to see that the author didn’t show as this pretty romance that is all “happy ever after” but had a more “real life” vibe to it. We got to see the the main characters had issues to work through that took years to get to deal with them. Not in the 30 minutes of less sitcom approach that I seen in other books. It was refreshing. I would recommend this books to others without hesitation as I gave it a strong 4 out of 5 stars. This is another free ARC from Net Gallery as I said earlier and that reflects my honest opinion in exchange for reading it.